Few names carry more cachet than Bill Bensley’s when it comes to resort design in Asia. Dubbed as the “king of exotic luxury resorts” by Time Magazine, Bensley has an impressive portfolio of hotel properties that are unconventional and theatrical with an impeccable attention to detail. His project at JW Marriott Phu Quoc Emerald Bay delivers enriching experiences and intuitive service that every JW Marriott guest comes to expect. It has also continued to build on his already impressive legacy, being recognised as the World’s Leading Luxury Island Resort & Villas, World’s Leading Luxury Themed Resort, World’s Leading Resort Swimming Pool and World’s Leading Themed Hotel Bar by voters at the World Travel Awards. The trophies were presented over the weekend during a red-carpet gala in Portuguese capital Lisbon. 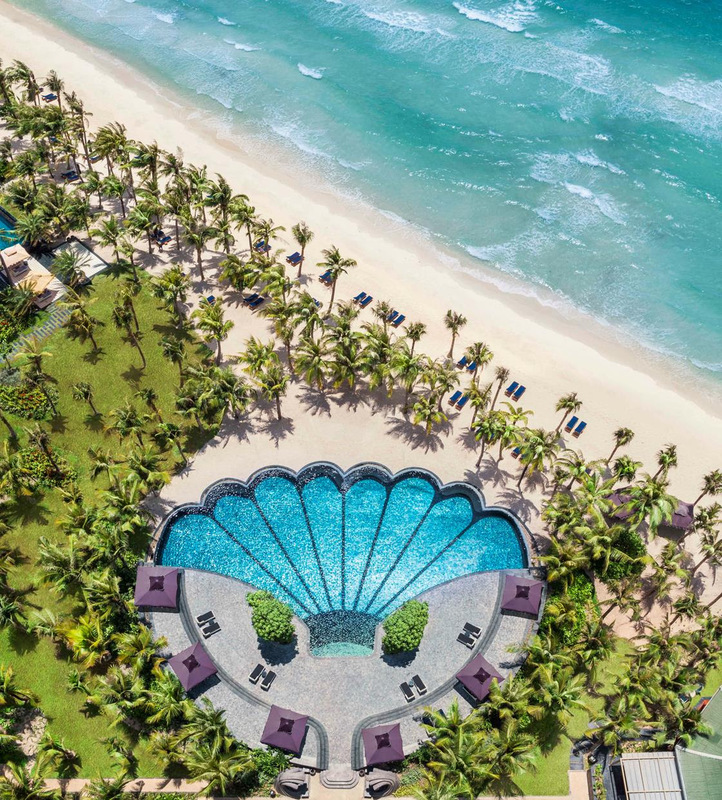 JW Marriott Phu Quoc Emerald Bay’s design narrative was developed around the concept of a mythical academy of learning, honouring French naturalist Jean-Baptiste Lamarck who laid the groundwork for Darwin’s theory of evolution. Overseeing the master planning and design of the entire property, Bensley separated the enormous site into different zones, all of them connected via the Rue de Lamarck, the main street that extends through the whole resort. The JW Marriott Phu Quoc buildings reflect early 20th century style and embrace the traditions of French colonial architecture. Every detail, down to the decorative elements and associates’ uniforms, have been carefully crafted and considered by Bensley to reinforce the resort’s overarching theme. The Phu Quoc Ridgeback, a native dog breed, is the mascot of the hotel and design details reflecting the mascot can be seen in various areas of the property. The 244 guestrooms, suites and villas are spread throughout different wings, giving guests the experience of being in their own dedicated section of the resort. Playing on the concept of academia, the accommodation wings are named after different academic departments. Taking full advantage of the idyllic views, all rooms and suites are ocean-facing and include a spacious balcony with sofa seating. Guests staying on the ground level will also have their own private garden and direct access to the three swimming pools of the resort. Complementing the emerald-collared sea and the lush surrounding landscape, Bensley has picked a palate of warming reds, turquoise, blues and greens for the interiors. Custom-designed furnishings in dark timber and patterned flooring further elevate the sense of comfort and luxury in the rooms, and throughout the resort’s walkway. Along Rue de Lamarck, traditional shophouses built to resemble the ancient streets of Hoi An highlight a unique blend of Chinese, Japanese and western architectural influences offering visitors an authentic sense of place. Visitors can stroll the street to find the most exquisite artisanal boutiques, the resort’s varied dining outlets and one of the best spas on Phu Quoc island. The French have long believed the therapeutic qualities of mushrooms. Playing on this idea, the designer has created an unusual guest experience in Chanterelle – Spa by JW by incorporating references from Alice in Wonderland where mushrooms played a key role. Mushroom-shaped furnishings and hand-painted walls of flora and fauna can be spotted throughout, while framed biological illustrations of mushrooms adorn the interior ceilings, adding to the fantastical and surreal quality of the space. Bensley also took inspiration from the childhood fable for a hidden corridor, where asymmetric arches curve at mirroring angles to create a layering effect, echoing Alice falling down the rabbit hole. To add to the authenticity of the whimsical design, Bensley’s team travelled across Europe multiple times to source over 5,000 original antiques and furniture items for the resort. Guests can expect to discover vintage furniture, teaching paraphernalia, carpentry tools, prints and sketches showcasing the evolution of mankind and nature, as well as other hidden gems throughout the well-crafted and intuitively designed resort. Shaped by natural beauty, pristine white sand beach and favourable weather year-round; Phu Quoc island is a hidden pearl off the beaten tourist track. The resort is a 15-minute drive from Phu Quoc International Airport. 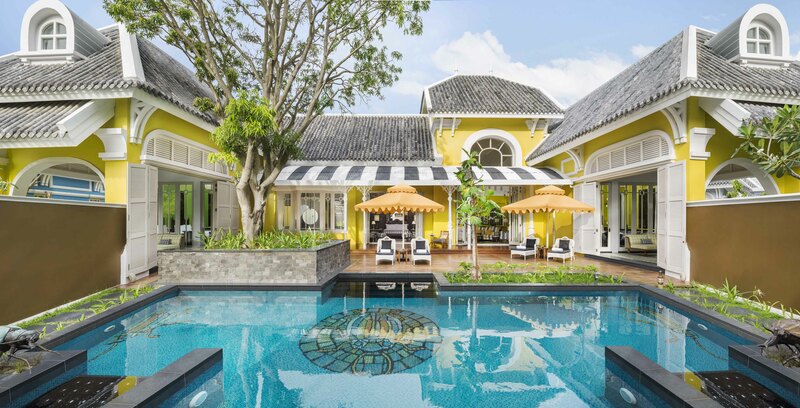 JW Marriott Phu Quoc Emerald Bay also recently launched six eye-popping new villas in renowned architect Bill Bensley’s inimitable signature style. The 180-700 sqm villas will benefit from on call butler service, private pools and sumptuous interiors replete with bold colours, bespoke prints and characteristic curios. So spectacular are the new villas that each – named the Department of Astronomy, Insect Study, Reptile Study, Fish Study, Mammal Study, and Ocean Study – represent their own ‘department’. Celebrating the resort’s overarching theme, the villas’ interiors are tailored to echo the particular academic specialism. The two one-bedroom villas and four three-bedroom villas house impressive double-height facades, and windows that make way for walls adorned with unique prints embodying the academic subjects. Every angle has been visualised to ensure each view is more distinctive than the last with an inviting flow between the rooms. The bedrooms combine intricate woodwork with oversized beds, crisp white linen and large printed armchairs, perfect for curling up on with a good book after a day in the sun. Picture perfect bathrooms feature freestanding bathtubs and wrap-around vanity counters with double washbasins. High ceilings allow for the highest waterfall showers guests will have ever come across, making for an immersive rainfall experience. Each villa’s intimate walled garden and private pool area, which overlooks dense forest to the rear, boasts an inviting mosaic-lined pool and some surprising sculptures – all designed to reflect the academic specialism. With ample space for sun loungers, and some even having access to a private massage pavilion, the outdoor spaces are ideal for relaxing, enjoying a cocktail, and making the most of the South-East Asian sunshine with family and friends. The six luxury villas will be joined by two more in the coming months. The vision of Lamarck University is carried throughout the resort in a brilliantly creative yet subtle way, giving the resort a truly harmonious aesthetic. Whether guests choose to stay in a villa, or one of the 244 spectacular suites, it will be an experience like no other. 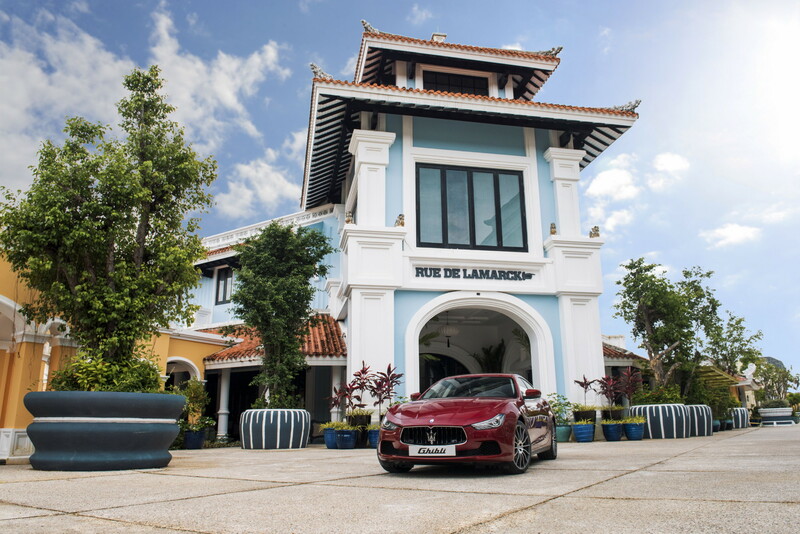 Guests visiting JW Marriott Phu Quoc Emerald Bay will also now be transported to the fantastical university via a Maserati automobile. “We are thrilled to be partnering with Maserati to launch this exciting initiative. “With the resort’s reputation in redefining design-centric journeys, the partnership offers guests enriched experiences and reaffirms a standard of true luxury synonymous with JW Marriott,” added Ty Collins, general manager, JW Marriott Phu Quoc Emerald Bay. Maserati exudes a sophistication and style long associated with sportiness and performance. This alludes to JW Marriott Phu Quoc Emerald Bay’s design narrative of a fabled sports university, which was conceptualized by renowned architect Bill Bensley. Over thousands of original antique pieces, many being school-themed memorabilia, are dotted around the resort. Additional touches from sports-inspired spa treatments to “lecture room” and “auditorium” function spaces also play on the theme of a university. Visitors to the resort during this time need not be surprised at the Maserati Ghibli on full display. Five-star accommodations, luxury amenities and an unparalleled location on a pristine private beach in Phu Quoc set the stage for an unforgettable hotel experience at JW Marriott Phu Quoc Emerald Bay Resort & Spa. 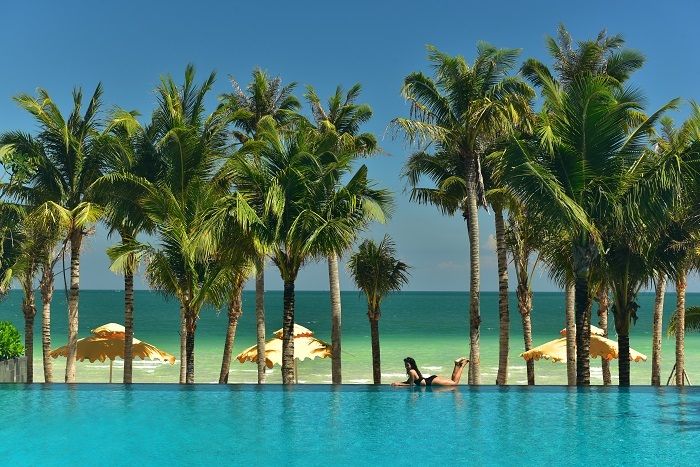 A hidden gem situated on Vietnam’s south coast, the hotel offers oceanfront tranquillity and a playful atmosphere. On December 1st 2018 the World Travel Awards showcase Grand Final will head to Lisbon, Portugal.